Tesla has unveiled its lowest-cost vehicle to date, Model 3 electric car. 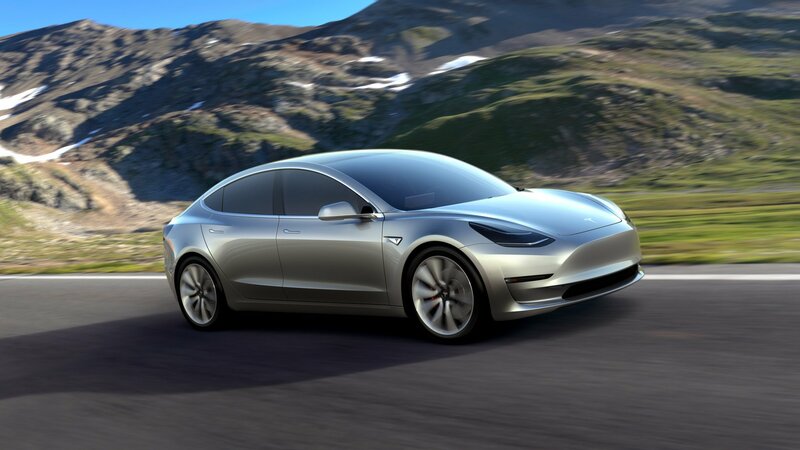 The price and range of the five-seater should make Model 3 appealing to new types of customers and could boost interest in other electric cars. Tesla CEO Elon Musk said his goal was to produce about 500,000 vehicles a year once production is at full speed. The company needs the new car to prove popular if it is to stay in business. The first deliveries of Model 3 are scheduled to start in late 2017, and it can be ordered in advance in dozens of countries. The basic model will start at $35,000 and have a range of at least 215 miles per charge. In 2015, Tesla delivered 50,580 vehicles. Most of those were its Model S saloon, which overtook Nissan’s Leaf to become the world’s best selling pure-electric vehicle. However, Tesla still posted a net loss of $889 million for 2015, partly because it spent $718 million on research and development over the period. It left Tesla with cash reserves of $1.2 billion, down from $1.9 billion a year earlier.